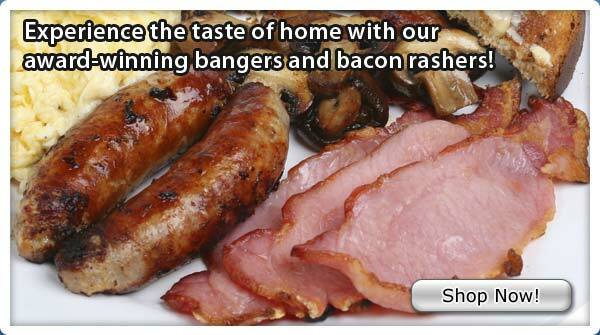 Welcome to our online store for the U.S., where you can now buy authentic English and Irish "banger" sausages and English and Irish bacon. Simply the best British food online, delivered to your door. 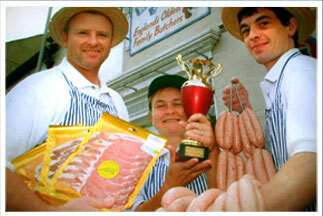 Visit us in Southwest England and try some of our hand-made English & Irish "bangers" and sausages, Irish style back bacon, and other specialty sausages and meats. If you cannot make the journey, just click any of the links above to learn more about us, how you can purchase our English bangers and bacon in America, and how we might better serve you. Thank you for your interest in our family's heritage.